Kennedy’s Landing is a subdivision in Halswell that caters to buyers looking for a semi-rural lifestyle located close to central Christchurch. 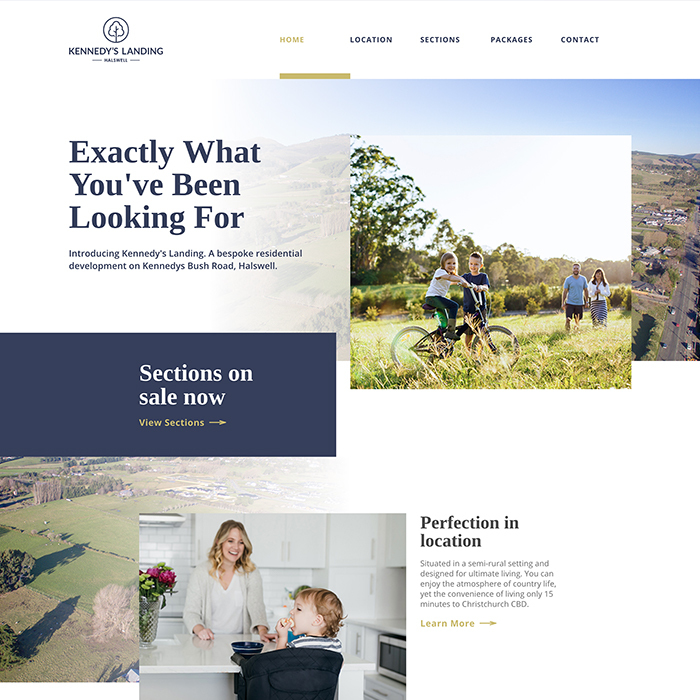 I worked with Clark from Kennedy’s Landing to create a brand and website in time for the launch of the new subdivision. 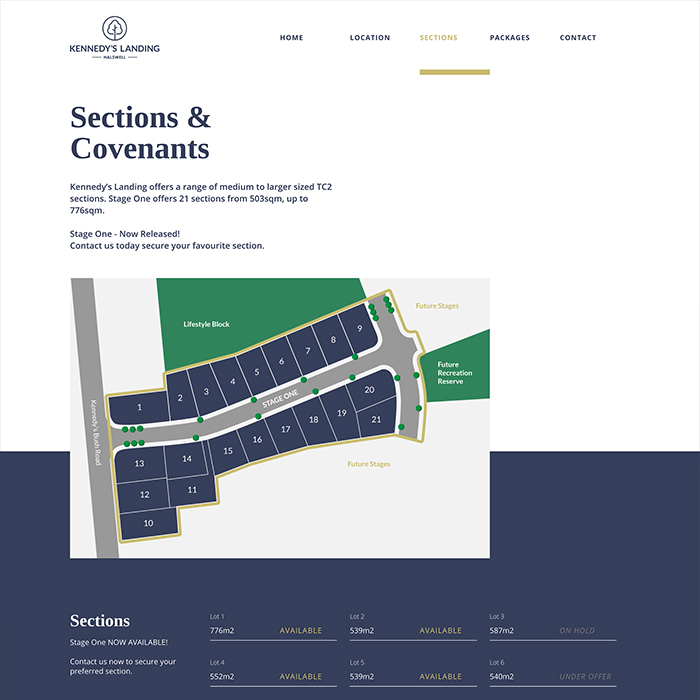 The subdivision would cater to those looking to build designer homes, so the brand and website needed to reflect that. 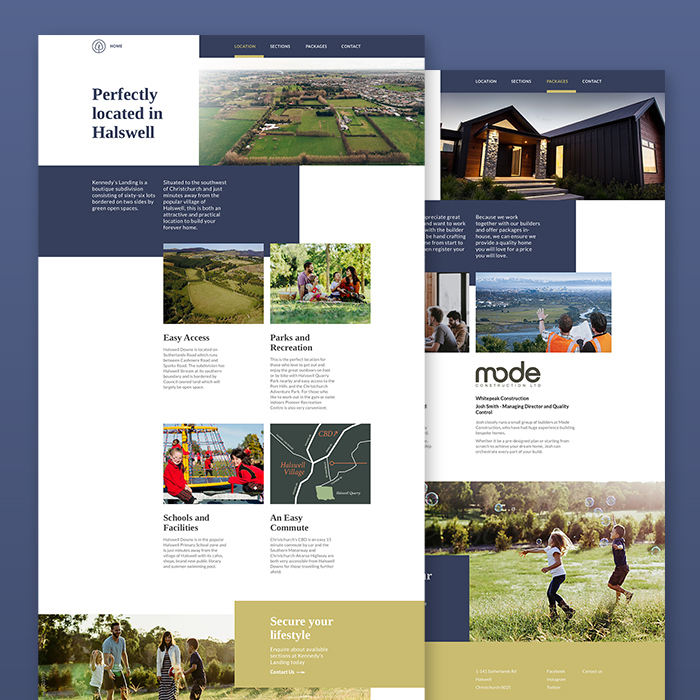 I worked with the company to build a brand that communicated an impression of quality country-living, while also emphasising the modern architectural character of the homes to be built there. We worked through a number of options before deciding on a logo and brand assets to apply across all of the company’s marketing media (online advertising, signage, billboards etc). We then focused on a light-weight, easily navigable website with the goal of providing visitors with relevant information, while also encouraging them to request further information about Kennedy’s Landing. I planned the website architecture and content with Clark from Kennedy’s Landing, and then designed wireframes/mockups for each page. Once all was approved, I built the website in Webflow in time for the company to begin taking registrations.